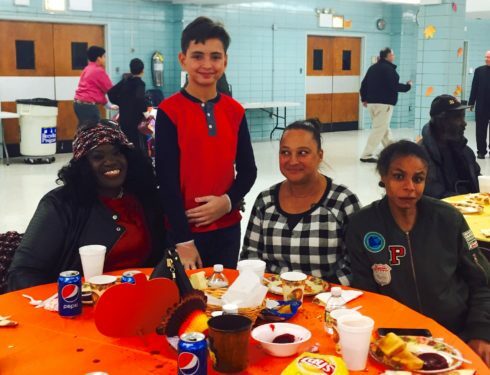 St. Andrew Avellino in Flushing hosted a Thanksgiving dinner for 50 homeless men and women Nov. 18 from Bronxworks, located in the Bronx. Fourteen students from St. Andrew Avellino Catholic Academy helped plate the food and serve their guests. Twenty-two adults, both parishioners and academy parents, also volunteered to cook the meals and serve the guests. Ten men from Bronxworks have been coming to the Men’s Homeless Shelter at the parish for a place to sleep and a hot meal in the winter for the past 36 years. Volunteers from the parish and academy cook the meals and help keep the shelter open every year. A traditional Advent service of lessons and carols featuring the English, Spanish, youth and Indonesian Choirs of Resurrection-Ascension Church, Rego Park, will take place on Dec. 2 at 2:30 p.m.
On Dec. 10, St. Francis Xavier parish, Park Slope, will present its annual Lessons and Carols and Christmas Tree Lighting at 7:30 p.m. There will be seasonal readings, carols and choral masterworks. Admission is free. For information, call 718-638-1880. The changing of the leaves brought change and celebration to Flushing as alumni, families and friends joined together to celebrate St. Michael Catholic Academy and the contributions of Auxiliary Bishop Paul Sanchez, Sister Katherine Hanrahan, C.S.J. (posthumously) and Joan Kane (posthumously). Over 170 attendees enjoyed the evening sharing memories of attending St. Michael’s, raising their families in St. Michael’s parish and most importantly, raising $25,000 to fund scholarships that will directly impact current families who would otherwise not be able to provide their children with a Catholic education. The evening began with an opening prayer from Father John Vesey, pastor, followed by a video of the St. Michael’s Recess Choir singing the National Anthem during their celebrated appearance at the final game of NY Mets’ captain David Wright on Sept. 29 at Citi Field. Bishop Sanchez, received the St. Michael the Archangel Award from academy board member, Robert Hogan. In 1975, then-Father Sanchez began his ministry as a young priest serving the community of St. Michael. Board Member Sister Rose Viceconte, C.S.J., presented the award for Excellence in Education to alumna Mary Hanrahan on behalf of her sister and fellow alumna, Sister Katherine. Father Vesey presented the Community Excellence award to Mr. and Mrs. Krauser in honor of their dear friend, beloved St. Michael’s parishioner and St. Michael’s Catholic Academy Board Member Joan Kane. For more information about St. Michael’s Catholic Academy and to see more pictures of this fabulous celebration please visit their website at stmichaelsca.org. 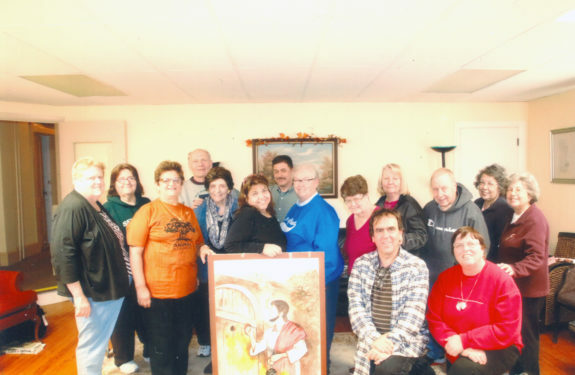 Catholic Adults of Brooklyn arranged a retreat to St. Joseph Retreat House in Sterling, New Jersey. The moderator was Risa Torado. The group runs dances, monthly meetings, overnight trips, bowling, volleyball leagues and other activities. To join them, visit them on social media facebook.com/CABCOevents and www.meetup.com/catholic-adult-community.